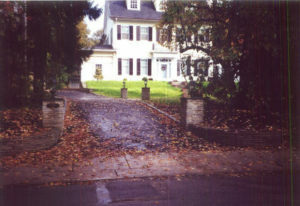 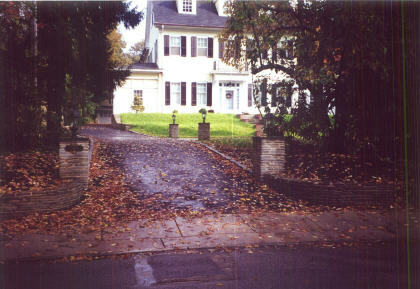 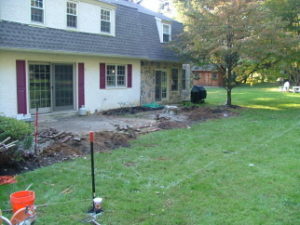 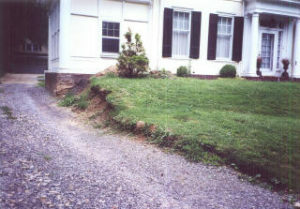 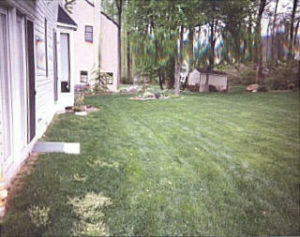 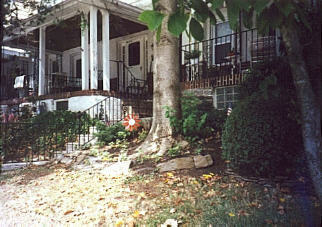 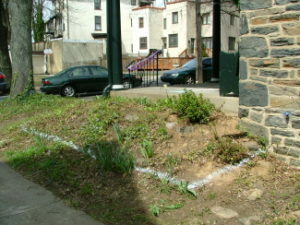 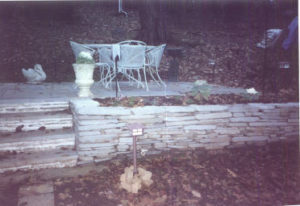 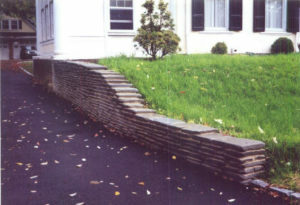 All walls shown were constructed by Robert J. Kleinberg Landscape Design and Construction. 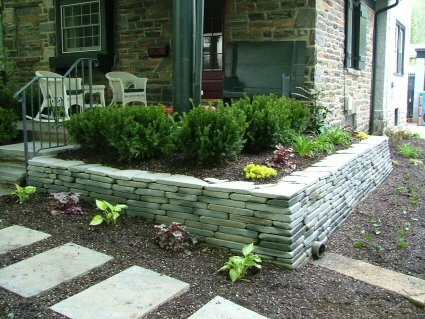 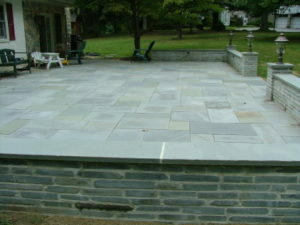 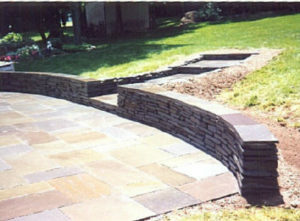 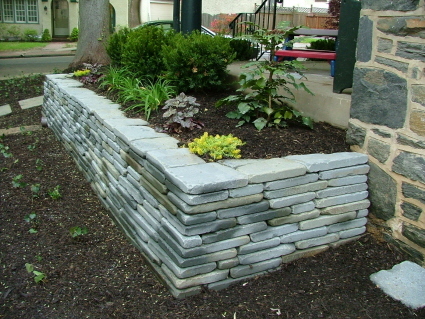 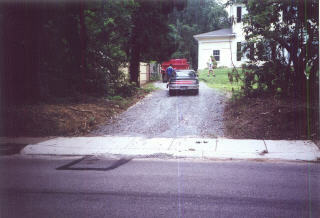 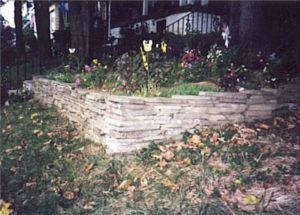 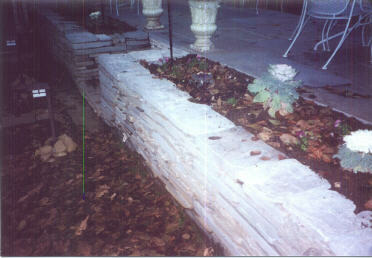 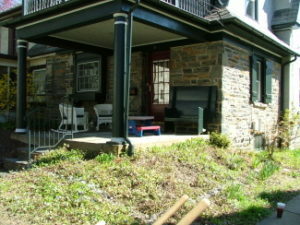 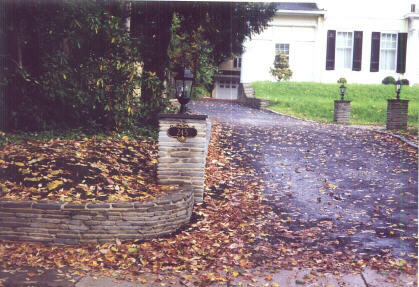 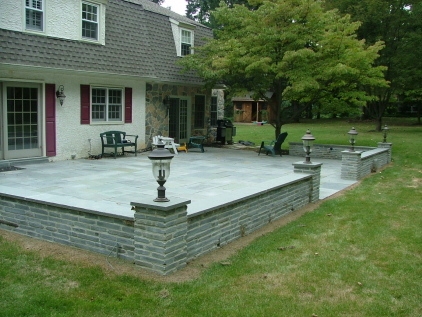 With the right selection of tumbled bluestone, these stone walls are easiest to build. The stone cost a little more, but you can save time on labor and the walls look great.